This contract can be used as either a Level 1 or 2 contract. 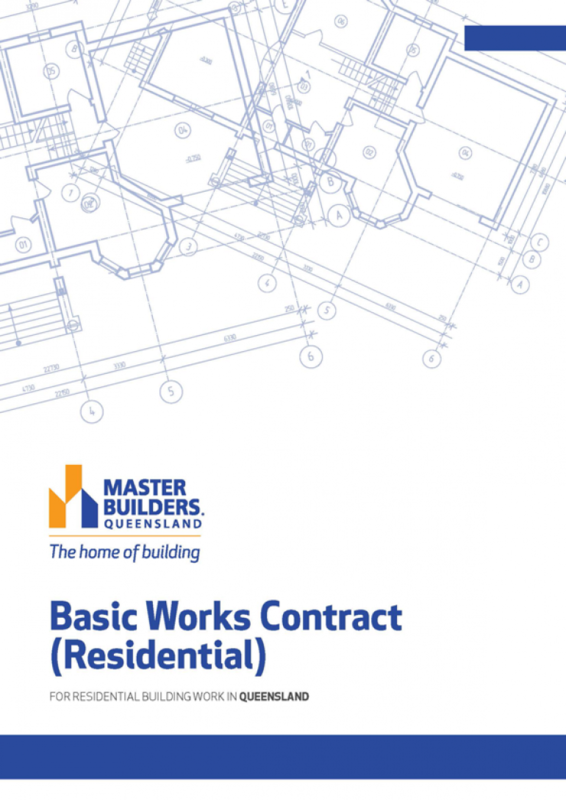 This contract is a lump sum contract to be used for work performed on a detached dwelling, including a single duplex, or the renovation, alteration, extension or repair of a home, or removal or re-siting work for detached dwelling where the contract price is up to $80,000 (GST inclusive) (guide only). Pad of 10, includes QBCC Consumer Guide. Single contract, includes QBCC Consumer Guide. 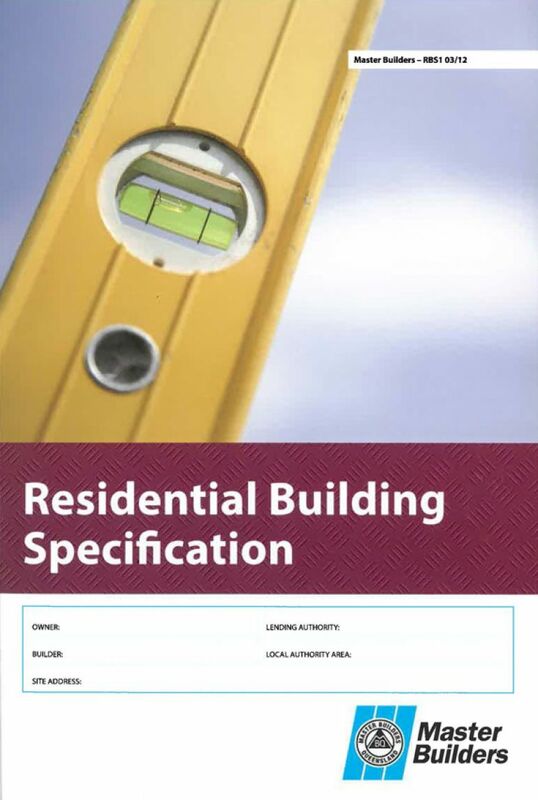 For use on residential projects to specify details of work to be carried out. 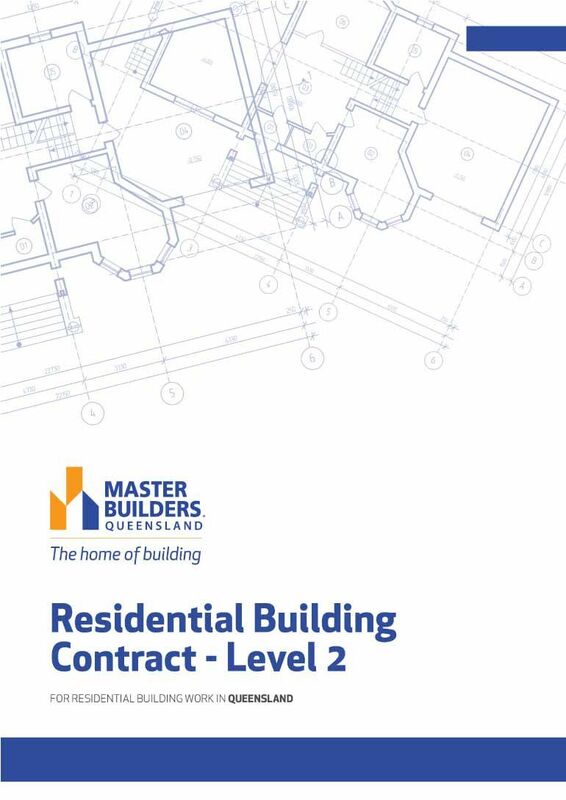 A vital companion to the Residential Building Contract. 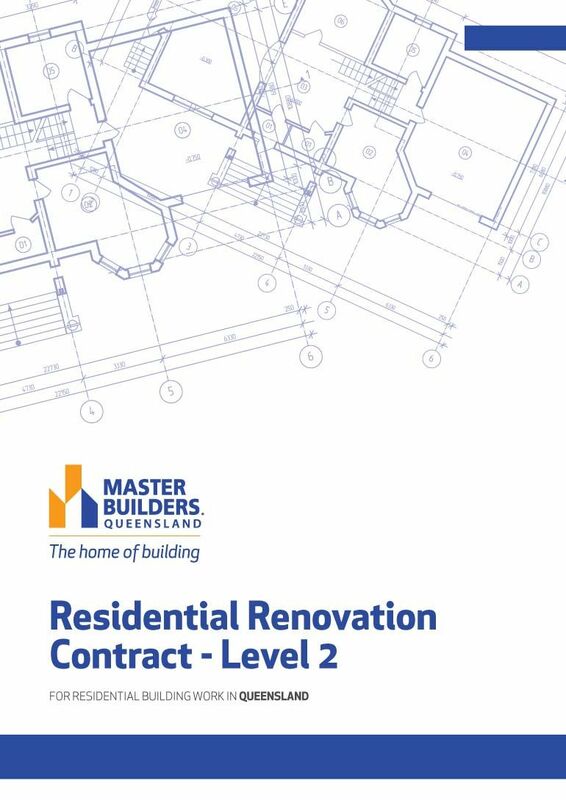 This is a lump sum level 2 regulated contract to be used for renovation, alteration or extension works for a detached dwelling or home where the contract price is $20,000.00 or more (GST inclusive). This is not a lump sum contract. 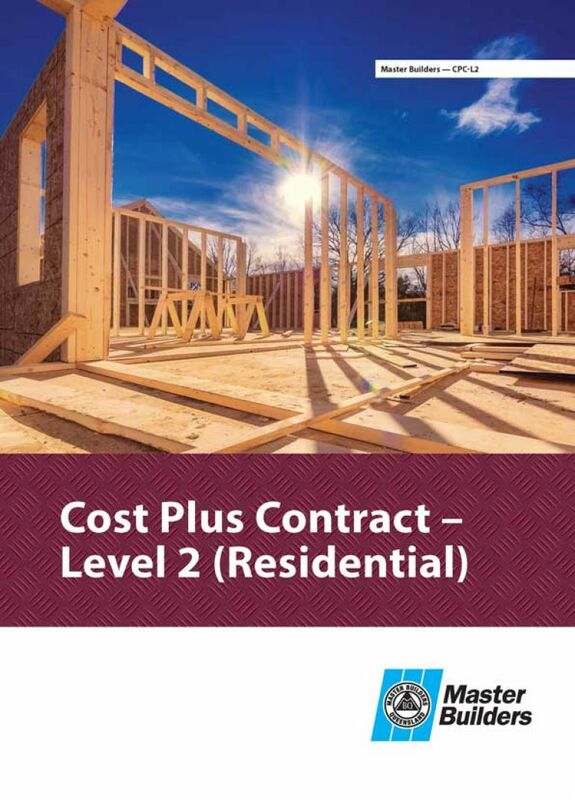 It is a cost plus regulated contract to be used for construction of a detached dwelling, including a single duplex, or the renovation, alteration, extension or repair of a home, or removal or re-siting work for a detached dwelling where the estimated total contract price is equal to or greater than $20,000 (GST inclusive). 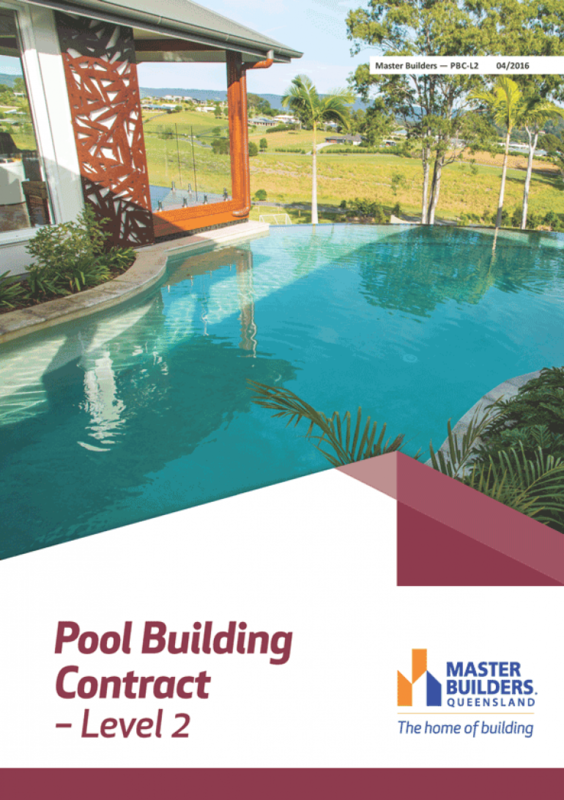 A lump sum contract for construction of a swimming pool/spa when contracting directly with an owner. 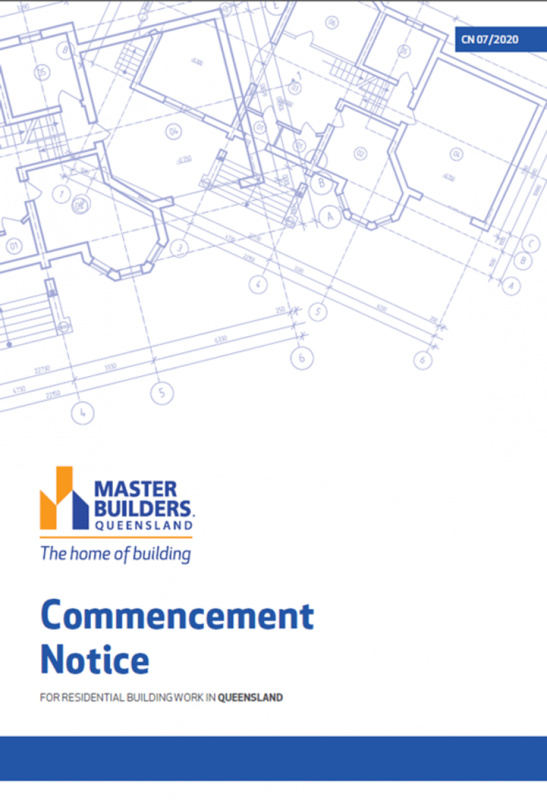 It is a legislative requirement that a copy of the Commencement Notice be provided to the Owner by the Contractor for all Level 2 contracts. This form is used to document the starting date at the building site and to state the date for practical completion.